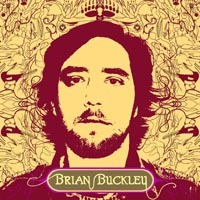 'For her', the debut album from Brian Buckley is avaiable for a limited period at the shockingly low price of $7.98!! Intimate moments abound on 'For Her', the debut album from Brian Buckley, among them the soulful ballad, “Ready for This Love;” the delicate acoustic introspection of “This Life of a Dreamer;” and the naked vocal power of “In Another World (She is Gone).” Elsewhere, Latin hand percussion and Colaiuta’s intricate hi-hat work set up a little Santana jam-out bliss on “Little Pieces” and “Spanish Tragedy”. From soft confessions to soaring vocal vamps and magical musicality on 'For Her' coupled with the purity and innovation of his live performances, leaves no doubt that Brian Buckley is developing into a bonafide artist.